At last, it is time. Fasten your seat belts, kaiju fans. It’s like this movie was made for our show. 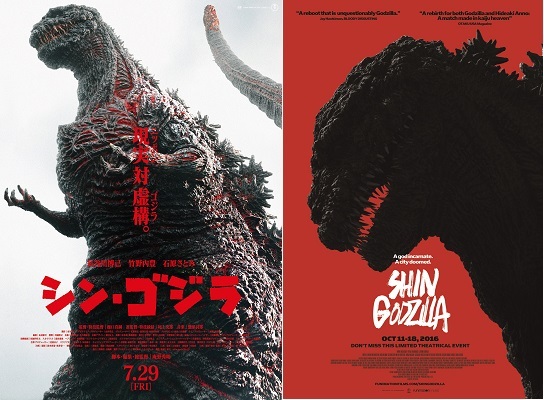 Just as we were planning a podcast emphasizing the connection between the Godzilla franchise and international affairs, this masterpiece was delivered to us on a silver platter. This episode is our masterpiece. After our film description, part two is our opinion on the big picture of this incredible movie. Part three is a detailed chronological rundown of the film, and we will tie it to the events of 3/11. Our related topics are the Great East Japan Earthquake and Tsunami and the Fukushima Daiichi nuclear meltdowns. This episode is dedicated to the victims of the 3/11 disaster, Plant Manager Masao Yoshida, the Fukushima 50, the U.S. service members who participated in Operation Tomodachi, U.S. Forces Japan, and the JSDF. We’d like to send a shout-out to our patron Kyoei Toshi and Sean Stiff for pledging at the Kaiju Visionary level. Thank you for your support! We really appreciate it. Go to our website next Wednesday (June 6) to learn what we have planned for future episodes. This entry was posted in Podcast and tagged 2016, 3/11 disasters, 60fps, 60fps video, Allen County Courthouse, Brian Scherschel, films, Fort Wayne, Fukushima Daiichi nuclear meltdowns, Godzilla, Godzilla Resurgence, Gojira, Great East Japan Earthquake and Tsunami, Hideaki Anno, history, Indiana, International Affairs, Japan, kaiju, Kaijuvision, Kaijuvision Radio, Lincoln Tower, Militarism, movies, Nathan Marchand, Nationalism, Neon Genesis Evangelion, patriotism, Persecution of the Masses, Shin Godzilla, Shinji Higuchi, Shiro Sagisu by Kaijuvision Radio. Bookmark the permalink.